A monolith can be found in the churchyard of All Saints at Rudston, Yorkshire. The stone stands at 7.7 m high. The location is as well known as the burial place of the novelist Winifred Holtby (1898-1935). 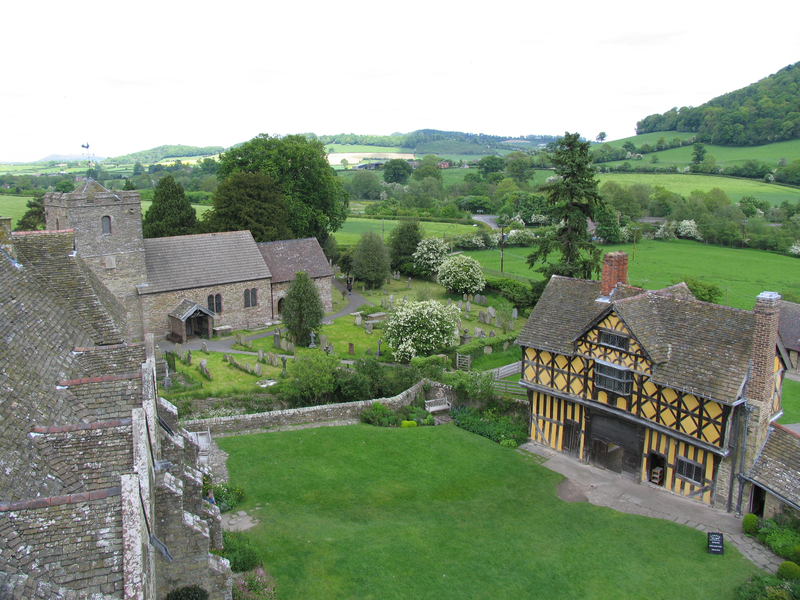 Stokesay Castle is a gem situated in Shropshire close to the border with Wales. Simon Thurley describes it as ‘the finest thirteenth-century manor house in England’. The view from the South Tower gives a view over the courtyard to the half-timbered gatehouse facing the hall. Beyond is the parish church of St John the Baptist. The gatehouse seems to have been constructed in the first half of the 17th century, perhaps by Charles Baldwyn c. 1640-41. The castle came into the guardianship of English Heritage in 1992 after a programme of restoration.